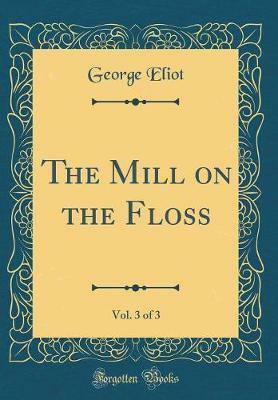 Excerpt from The Mill on the Floss, Vol. 3 of 3 N o, no, said Lucy, sticking them in her band, you shall not have my scissors again - you have strained them already. Now don't set Minny growl ing again. Sit up and behave properly, and then I will tell you some news. What is that said Stephen, throwing himself back and hanging his right arm over the corner of his chair. He might have been sitting for his por trait, which would have represented a rather strik ing young man of five-and-twenty, with a square forehead, short dark-brown hair standing erect, with a slight wave at the end, like a thick crop of corn, and a half-ardent, half-sarcastic glance from under his well-marked horizontal eyebrows. Is it very important news? About the Publisher Forgotten Books publishes hundreds of thousands of rare and classic books. Find more at www.forgottenbooks.com This book is a reproduction of an important historical work. Forgotten Books uses state-of-the-art technology to digitally reconstruct the work, preserving the original format whilst repairing imperfections present in the aged copy. In rare cases, an imperfection in the original, such as a blemish or missing page, may be replicated in our edition. We do, however, repair the vast majority of imperfections successfully; any imperfections that remain are intentionally left to preserve the state of such historical works.